(24.5 cm), xvi, 562 pp. Publisher’s printed wrappers. 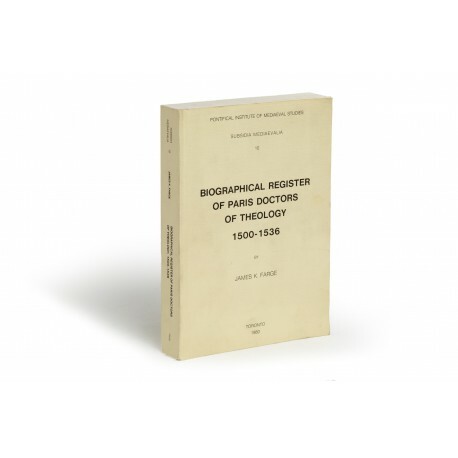 - A biographical dictionary of the 474 theologians who received the doctorate in Paris between 1500 and 1536, containing, where possible, lists of their works in all known editions. 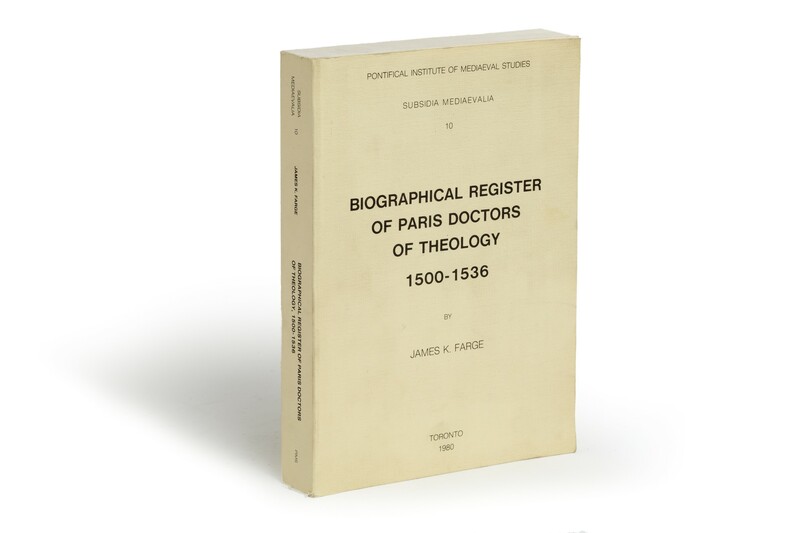 Using post mortem inventories and other documentation, Farge is able to describe the libraries owned by some of these theologians. 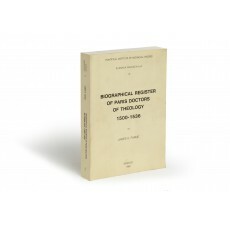 ¶ Wrapper lightly finger-marked; otherwise a good, unmarked copy.